Garrett Atkins is a former first baseman for the Colorado Rockies and Baltimore Orioles. In 2005, with the Rockies, Atkins had the highest amount of runs batted in among all MLB rookies. 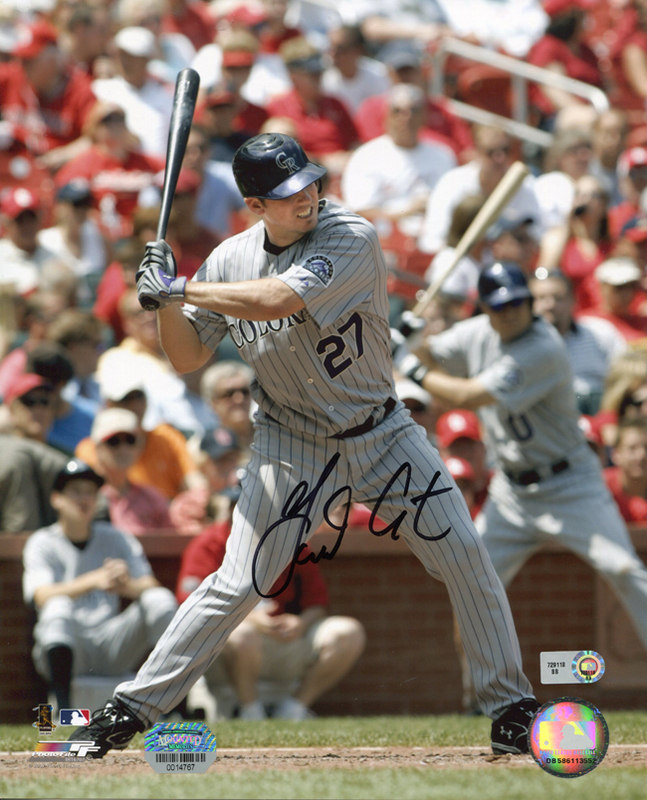 This Colorado Rockies 8x10 photo has been hand signed by Garrett Atkins. Each autograph is guaranteed authentic and includes an individually numbered TRISTAR Authentic hologram.